I like recipes with minimal ingredients. Evidently I also like recipes with potatoes. As proof, my last FIVE posts have all been about recipes centered around potatoes! Ruth's Sauteed Cabbage with Bacon and Cream and Potato Pierogi; Tessa's Omeleta Horiatiki with Potato, Feta, and Oregano; A roundup of Ruth Reichl favorites with two of them being Cheddar and Garlic Twice-Baked Potatoes and Shirred Eggs Over Potato Puree; Tessa's Patates Tiganites (Greek French Fries), Nigel's Classic Shepherd's Pie, and now Mark Bittman's Corned Beef Hash! I think it's reasonable to say that I need to move on from potatoes and share something fresh and light next. I'm laughing because there are two reasons I have so many potato dishes. First and foremost, we just love potatoes. Who doesn't? Secondly, potatoes are ALWAYS in my pantry and I can ALWAYS make a potato dish without having to venture out and run to the store. I tell ya. Put some potatoes in your pantry and with a few other basic ingredients you can always put a meal together! I bought this corned beef hash on sale for a mere $1.99/lb, which is a fabulous price. Listen to me: DO NOT BOIL YOUR CORNED BEEF! Roast it! Roast it at about 300F to 350F, covered, for about an hour per pound. If your corned beef is good quality then you should end up with a very tender corned beef that almost falls apart, or shreds, like a roast. NOTE: Save any liquid that accumulates in the pan for your hash! Note that it will be quite salty so if you like salt then this will be okay, but if you do not, then you will want to use another liquid such as stock. 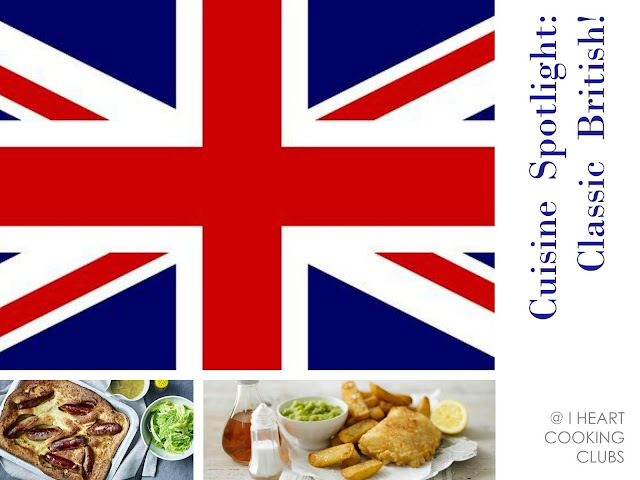 Corned beef hash is a delightful and hearty dish that is exceptionally delicious when made from scratch! Bittman's version is different in that he calls for more liquid, so it does not fry up to be as crisp as other versions. When mine came together it had great flavor, but was quite soft, and while some people would like that, I opted to place my has under the broiler (as he suggested) to create a crisp crust on the top. The broiler worked nicely and was much easier than standing over a pan, flipping and flopping the hash, which can be quite finicky. I topped the hash with two over-easy eggs and watched as the yolks oozed over the hash. We are big fans of a skillet breakfast and corned beef hash is easily one of our all-time favorites, perfect for an Easter Brunch! Toss together 2 cups of left-over corned beef (I don't like to boil my corned beef. I like to roast it at 350 for about an hour per pound). Add 2 cups cut-up cold boiled potatoes. Add 1 cup chopped onion and 1/2 cup liquid (*I used the leftover stock from roasting the corned beef, but be warned if you do this - it will be quite salty-also watch the amount of salt you add to this dish*). You can also use stock, tomato sauce, milk, cream, or gravy as a liquid. The goal is to moisten the mixture but not so much as to make it soupy. Heat 3 tablespoons oil or butter in a heavy skillet, preferably non-stick, over medium-low heat. When the butter has melted or the oil begins to shimmer, put the hash in the pan and cook it, undisturbed, for about 10 minutes, or until a nice crust has formed. Turn the has and brown the other side, or flip half of it over onto the other, or brown the top under a broiler (mine was too moist to brown on the stovetop so I put it under the broiler). Serve with over easy eggs* on top and a sprinkling of parsley or something green. 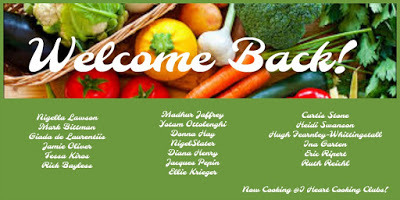 Theme: April Showers @ I Heart Cooking Clubs! Tessa Kiros is one of my favorite IHCC chefs and I love all her books, but Food From Many Greek Kitchens was on my kitchen counter and her Omeleta Horiatiki was so good I was hungry for more! I have so many pages in this cookbook bookmarked to make and I decided it was time to get to work and start crossing some off my list. Now, I'm all about potatoes lately and I will confess that I planned this meal around Tessa's Patates Tiganites (French Fries) solely because she mentions scattering the wedges with a seasoning blend called Alatopiperigano (salt, pepper, and oregano) then topping with feta cheese before dunking them in some tzatziki. Um, yes. Why haven't I had fries with feta or tzatziki before? Where have I been hiding? Three recipes down. Next, I needed some meat, hence the Keftedes and then I needed a veg, and we love cucumbers, so bring on the Cucumber Meze. I won't lie. I was in the kitchen for a good amount of time, but it was all easy and doable. First I made the Cucumber Meze and it was so refreshing and delicious I pretty much ate it all while I was putting the other recipes together so then I had to make another batch! Next was the Tzatziki. I wanted it to have some time to set in the fridge and allow the flavors to meld. Then I fried up the Keftedes and I have to tell you, you need to make these! They are no ordinary meatball. Instead of breadcrumbs, they are bound with potato and they are therefore much lighter and become much crispier when fried. The texture is a huge delight and they are irresistible right out of the frying pan. Not to mention, those little suckers are loaded with flavor. Next, I soaked the potato wedges in salt water to remove some of the startch and waited to fry them up. While they were soaking I mixed up the Alatopiperigano seasoning which is just a simple blend of salt, oregano, and black pepper that smells absolutely delicious. When the potato wedges were ready I fried those babies up and was so excited to drain them and sprinkle that Alatopiperigano on top because now it was time to feast! It was all such a delight and for a moment I was transported to Greece. I closed my eyes and smelled savory meat, aromatic oregano and mint, and lemon. I imagined a world where people topped hearty potato wedges with feta cheese before dunking them in tzatziki and I wanted to be a part of it, and in my kitchen, I was a part of it. Even if only for a moment or two. Note: I know cinnamon is traditional in Greek cooking, but I don't care for it with meat so I omitted it. Meanwhile, put the beef, onion, parsley, oregano, mint, cinnamon and egg into a bowl and mix. Drain the cooked potatoes and when they are cool enough to handle, peel and break up into the bowl. Season well with salt and pepper, then mash everything together with a potato masher. Knead again with your hands to make a compact mix. Form walnut-sized balls of about 1 ounce each, but you can make them smaller or bigger if you like. Scatter some flour onto a flat plate and roll the balls lightly in the flour, keeping them in compact balls. Heat olive oil to a depth to a depth of about 1/4" in a large nonstick skillet. Add as many balls as will fit to the skillet and fry until they are golden on all sides, flicking them gently to roll over. You will probably have to fry them in two batches. Remove carefully with tongs and drain on a plate lined with paper towels. Add a little salt and serve hot, with a few drops of lemon juice. Note: I fried my potatoes in canola oil, but olive oil is what they use in Greece. Peel the potatoes, halve them lengthwise and slice each half into 3 or 4 wedges. Put into a bowl of cold water with some salt and leave them for 30 minutes to 1hour to soak off some of the starch. Drain well and pat dry with paper towels. Wrap in a clean dish cloth to dry further while the oil is heating. Pour a good 1/2" depth of oil into a large skillet. Heat oil over medium-high heat until a cube of bread dropped into the oil browns in 15 seconds. When you think it's hot enough, throw in a wedge to see if it bubbles and fizzles. If so, add all the wedges, leveling them so they are not on top of each other. When they start to look soft, poke at them with a wooden spoon to roughen up their surfaces. Leave them alone again until they start looking crunchy, then shuffle them with a wooden spoon, turning them if necessary. Turn the heat down if the oil bubbles too quickly and becomes too hot; you don't want dark brown, soggy chips. When they are lightly golden and crisp, move them around in the pan with a slotted spoon and remove to a plate lined with paper towels. Scatter with alatopiperigano. Serve at once with tzatziki and a scattering of feta cheese on top! Note: I think the flavors of this tzatziki will depend on the yogurt you used. I used Fage 2% and the results were a thick sauce. If you wanted a thinner sauce you could always save a little of the cucumber liquid or add a touch of olive oil. Using the flat of your knife, crush the garlic with a pinch of salt into a paste. Put into a small bowl with the oil and leave to marinate while you proceed with the rest. Trim the cucumber and peel it. I like it striped, with one strip peeled and the net left unpeeled. Using the large holes of the grater, grate the cucumber into a sieve. Scatter with the salt and leave it for 30 minutes or so to drain, turning it over a couple of times and even pressing down with your hands or a wooden spoon. Put the yogurt into a bowl for serving. Add the garlic and oil, the mint and a couple of grinds of black pepper. Fold the cucumber through and taste for salt. This can be stored in the fridge, covered, for a couple of days. The cucumber will give up a little water, but stir it through to loosen the tzatziki. Put the cucumber and lemon juice into a bowl and crumble in the mint. Add salt and pepper. Drizzle the olive oil over just before serving. Mix together and keep in an airtight container. Use as a Greek seasoning and sprinkle on fries, meats, eggs, etc. 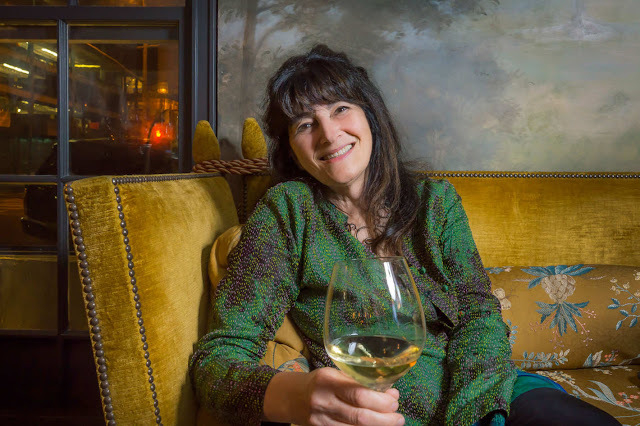 My Top Five Ruth Reichl Recipes! 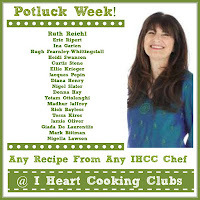 We are wrapping up our time with Ruth Reichl at I Heart Cooking Clubs. I've made some really fun and different recipes with Ruth and I've definitely really enjoyed my time in the kitchen with her. 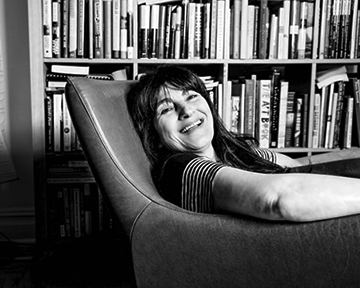 These are my top five Ruth Reichl favorites, in order. Number Five: Ruth's Cheddar and Garlic Twice-Baked Potatoes. I've made a lot of twice-baked potatoes in my time and these are among my favorites. We love the hint of garlic and all the proportions are just right. These are a perfect side dish for a special meal. Number Four: Ruth's Food Cart Curry Chicken. A New York City food cart specialty and a busy cook's best friend. This is a delicious weeknight chicken dish that is perfect family food. The chicken is tender and flavorful, but mild enough to be kid-friendly. I highly recommend this one! Number Three: Ruth's Parmesan Walnut Salad In Endive Leaves. This was the very first Ruth Reichl recipe I made and it stuck with me ever since. This is a beautiful appetizer, or spread, for any party or gathering. The colors are gorgeous and the flavors are fresh and bright. I love the crunch from the walnuts against the chewiness of the cheese and the crispness of the endive leaf. It's a little creamy, but light. It's healthy and a little indulgent. It's just perfectly balanced. This would be a great dish to take to any potluck! Number Two: Ruth's Shirred Eggs Over Potato Puree. Um, creamy mashed potatoes with an ooey gooey egg on top? Yes, oh my word, yes. Pure bliss. Total comfort food. Please make this! Number One: Ruth's Baked Cheddar Olives. A retro recipe if there ever was one. Here is a dish that was present at many women's bridge parties in the 1950s. I wasn't sure what to expect with this recipe, but it was so different and I just knew I had to give it a try. I was mind blown by how delicious these were! The dough bakes up around the olive like a cheese cracker and these are the most addictive little devils. I absolutely LOVE this recipe and I think you should make them for every single party until the end of time! Baked Cheddar Olives for everyone, for ever and ever. Tessa Kiros is definitely one of my favorite cookbook authors. Her cookbooks are not only gorgeous, but they're packed full of rustic family-pleasing dishes, such as this Omeleta Horiatiki (Potato, Feta, Oregano Omelet). For whatever reason, I was expecting this dish to be a simple frittata with the welcome addition of one of my favorite cheeses: feta. I was expecting a dish that I would really enjoy. I wasn't prepared to have my mind blown. This is no ordinary egg dish, folks. My first surprise: the potatoes form a golden brown crust on the bottom that is heavenly. I guess I was expecting the potatoes to be dispersed throughout the egg. The crust really makes this dish! Plus, the oregano is crumbled onto the potatoes and helps to deliver a wonderful flavor throughout the omelet. The eggs cook perfectly with Tessa's method and have a fluffy consistency, plus the feta cheese just takes this dish over the edge. This is an A+ egg dish. One of my favorites, for sure. I do want to point out a few things I noticed while making this. I felt like the directions were a little vague, such as fry the potatoes. Ok, Tessa. Over what kind of heat? Add the eggs and cook, but over what kind of heat. Everyone's stove will be different, but mine cooks especially hot, so I cooked over medium-low heat. I didn't fry my potatoes until they were golden brown. I fried them until they were cooked through and starting to turn golden in places. Turns out this was a good move because the potatoes will continue to brown and form a crust once you add the eggs and you wouldn't want them to be too golden or they would become too brown and/or burn. When I added the eggs I turned the heat all the way to low and covered the skillet for 3-5 minutes, checking to make sure the eggs weren't getting overcooked. When there was only a little bit of liquid on the top of the omelet I placed the skillet in the oven on broil and watched closely until there was no more liquid. I was so pleased with the results because the potato crust was perfectly golden and the egg was perfectly cooked. consistency. As I mentioned, this is one of my favorite egg dishes. I can see myself making this again and again. It is perfect with the potato, feta, and oregano but I can also see adding chopped tomato, zucchini, olives, and maybe even some capers, especially during the summer months. If you love egg dishes as I do, please do yourself a favor and make this one. It is absolutely delicious! Heat the oil in a 12-inch nonstick skillet. Add the potatoes and fry gently on both sides until golden (but not too crisp) and completely cooked through. Salt lightly. Crumble the oregano over the potato with your fingers, then crumble the feta on top. If you have a broiler, preheat it now. Pour the eggs into the skillet, shuffling gently so that they can leak down and around the potatoes. Put the lid on and cook over low heat until the eggs are set throughout but still runny on top. Keep an eye on the heat to ensure that the bottom doesn't burn but forms a golden crust. Take the lid off and place the skillet 4 inches or so under the broiler. If you aren't using a broiler, just keep the lid on the skillet and continue cooking the eggs slowly. When it's slightly runny here and there, remove from the heat and leave it with the lid on for a couple of minutes. Loosen the edges and slide it out of the skillet upright onto a large serving plate. Serve hot, with a grind of black pepper. On St. Patrick's Day I feel compelled to eat at least one of these three things: cabbage, potatoes, and/or corned beef. This St. Patrick's Day I opted for Sauteed Cabbage with Bacon and Cream. My mom used to saute cabbage and bacon and mix it into egg noodles, but I didn't have any egg noodles so I did the next best thing and tossed my cabbage with pierogi. My mom's egg noodles with sauteed cabbage and bacon will always have a special place in my heart, but the choice to add the pierogi...well, that was one of my better decisions for sure. The pierogi is the best of both worlds. A little pasta. A little mashed potato. It's the perfect compliment to Ruth's Sauteed Cabbage with Bacon and Cream. Ruth's Sauteed Cabbage with Bacon and Cream is perfectly delicate and pleasant to eat. Everything about it feels perfectly balanced and light. 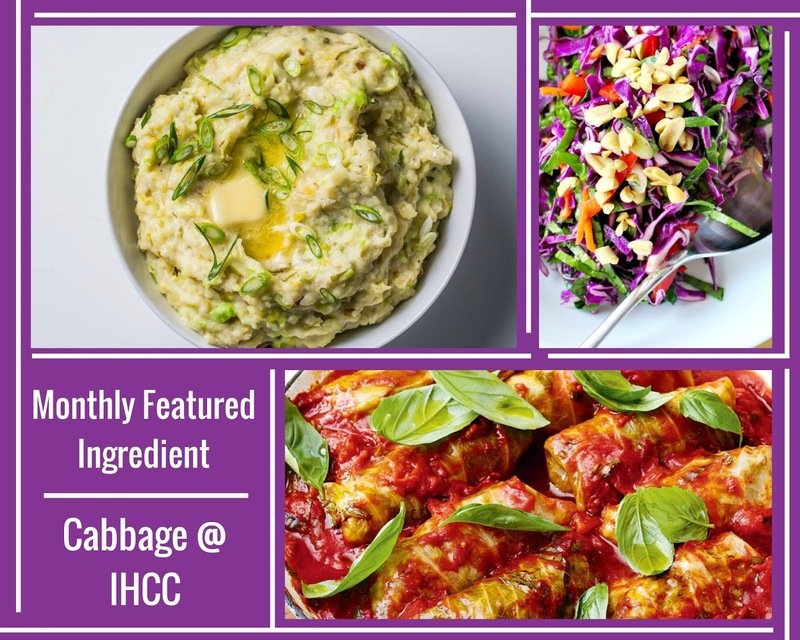 If you're expecting a pungent strong odor that sometimes happens when you cook cabbage, don't. Only beautifully fragrant smells here. In fact, my kids, who don't like cabbage, both came downstairs because they said it smelled wonderful. They even tried a few bites and deemed it delicious. This is a winning side dish that can easily be turned into a main dish by adding in pierogi, egg noodles, and/or potatoes of some sort. I will gladly make it again and again! Note: I wanted to mix the cabbage with egg noodles, but I didn't have any so I opted for pierogi. You can make your own pierogi or buy a box. I boiled mine for a few minutes in a separate pan and then mixed them into the cabbage when they were done cooking. Cook bacon in a deep 12-inch heavy skillet over moderately high heat, stirring, until golden, 3 to 4 minutes. Add cabbage and salt and cook over moderate heat, stirring, until cabbage is wilted about 3 minutes. 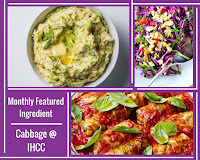 Add cream, reduce heat to moderately low, cover and cook, stirring occasionally, until cabbage is tender, 10 to 15 minutes more. Season with salt and pepper. (I noticed that I had to be pretty heavy handed with the salt). On Fridays at school, we order lunch from a catering service. I always order the same sandwich, drink, and chips, BUT I ALWAYS have a hard time trying to decide whether I want a chocolate chip cookie or an oatmeal raisin cookie. I love them both equally! Or, do I? As much as I love chocolate, I almost always opt for the oatmeal raisin cookie. I love the chewiness of the oats and the raisins so much, maybe even more than I love chocolate, and that is saying something! 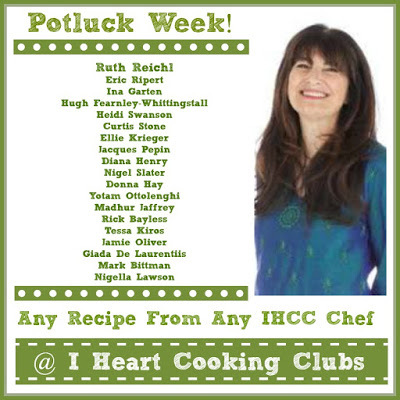 This week at I Heart Cooking Clubs we're cooking with food that starts with R, for Ruth Reichl. The very first thing I thought of...Oatmeal Raisin Cookies! This recipe for Oatmeal Raisin Cookies is a little different than other recipes I've tried. These cookies are definitely not as sweet as a classic oatmeal raisin cookie, but they are good. They reminded us more of a granola bar or a healthyish breakfast cookie. We really liked them alot, and I would make them again, but this wouldn't be my go-to oatmeal raisin cookie recipe.. Put racks in upper and lower thirds of oven and preheat oven to 375F. Butter two large baking sheets. Stir together oats, flour, cinnamon, baking soda, and salt in a bowl. Beat together butter, brown sugar, and granulated sugar in a large bowl with an electric mixer at medium speed until fluffy, about 3 minutes. Add egg and vanilla and beat until well combined. Add oat mixture and beat until just combined. Mix in raisins. Drop heaping tablespoons of dough about 2 inches apart onto buttered baking sheets and flatten mounds slightly with moistened fingers. Bake cookies, switching position of sheets halfway through baking, until golden, about 12 minutes total. Transfer cookies to racks to cool.